Now what about the triangle choke itself? Despite a pervasive myth that Rolls Gracie added the triangle choke to BJJ after seeing it in an old judo book, one of his black belts explained that the technique had been around since the beginning of BJJ, however at that point, practitioners had not yet learned how to cross the arm to the side for the finish and hence it was not considered to be an efficient technique. The choke itself (called Sankaku-jime in judo) can be traced back to two judoka, Tsunetane Oda and Kanemitsu Yachibei Hyoe, who were both direct students of Jigaro Kano. As the art continued to be developed and refined, so too did the triangle choke, until it became (and still remains) one of the highest percentage submissions in BJJ, particularly from the guard. It gained prominence in MMA when Royce Gracie submitted Dan Severn in UFC 4 with a triangle choke from the guard. While the triangle choke had always been popular for the past few decades, it was the success of American grappler Ryan Hall that made the position even more popular; Ryan Hall had reportedly over 200 submission wins in competition via the triangle, although these were mostly in the lower belt divisions. Eddie Bravo’s triangle win over Royler Gracie in the 2003 ADCC was also notable, however that was more of a one-time thing and neither Eddie nor the 10th planet system he created has been known for focusing on the triangle (the rubber guard, for example, is mainly based around getting the omoplata). As an aside, one of Ryan Hall’s first instructionals, The Triangle, was novel in the sense that it focused on understanding the triangle as a position, rather than just a position, a concept that has entered mainstream grappling thought today. While the triangle choke remains no less effective today, it is worth noting that they are more prevalent at lower skill levels. For example, in BishopBJJ’s 2012 IBJJF Mundials case study, the triangle only accounted for 7% of all submissions at the black belt level; significant, but nothing special. Even Ryan Hall himself, after receiving his black belt, has focused more on the top position, noting that its mechanical advantage rendered it inherently superior and that many of his triangle wins were against opponents who were significantly less skilled than him. This can be seen even in MMA where the triangle accounted for 9% of total submissions in the UFC, almost similar to the percentage seen in the IBJJF 2012 Mundials. While it may surprise some people that the percentage was higher in MMA, where the top position is even more valuable, which would logically lead to the inference that it should be lower compared to the IBJJF Mundials, it should be noted that the 7% in the IBJJF Mundials only took into account black belts at a single event, while the UFC statistics included all UFCs from 1 up to 168. Taking the difference in sample sizes into account, the result is then not so surprising. However, the triangle has been used to submit legends of the sport; Werdum vs. Fedor being the most obvious example, while the American Gangster himself, Chael Sonnen has been known to be quite susceptible to triangle chokes. 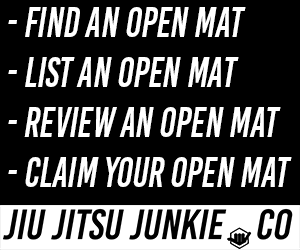 To conclude, while the triangle will continue to be a staple move of BJJ that everybody should master (it is the best way to submit the new guy with wrestling experience, after all), practitioners should be aware that as they move up the skill ladder and begin facing more and more skilled opponents, the triangle choke (and submissions from the bottom in general) become increasingly harder to get. Of course, there will always be some exceptions to the rule, such as Edwin Najmi, well known for his flying triangle attacks. However, even he had to diversify his game after reaching the black belt level.